Hi everyone! 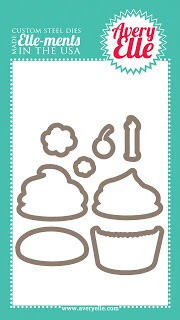 Today Chunyuan, Heather, Kasia, and I are playing around with the new Avery Elle May release:) I'm working with the Cupcakes stamp and matching die set. 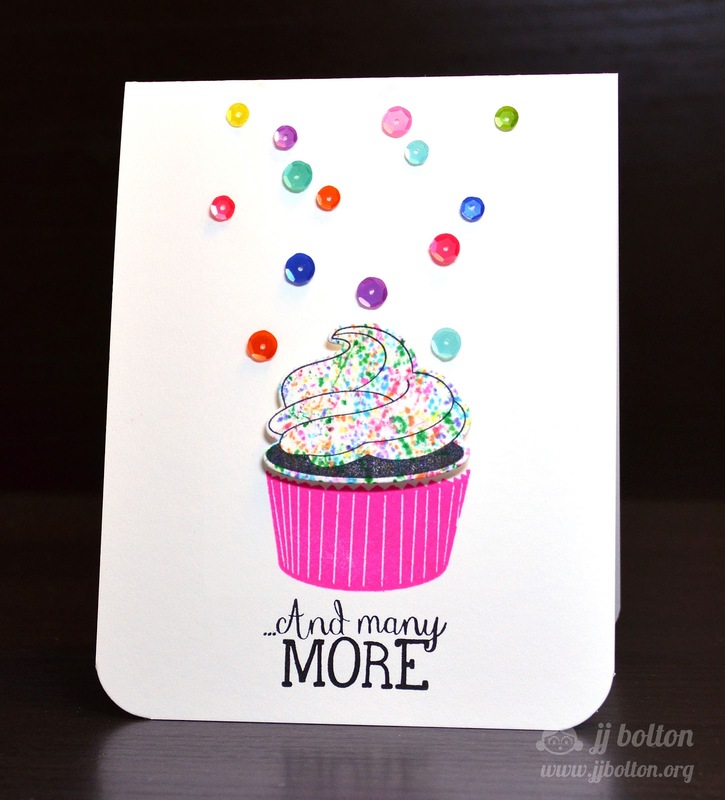 May is a crazy month for birthdays in our family, so these stamps and dies come right in time! That's it for me today! Thank you so, so much for visiting!! I really appreciate you spending time here and for your kind comments. Please hop on over to Chunyuan's, Kasia's, and Heather's blogs today too! They have some amazing stuff! WOW, how cool is that! Love your colorful bright card. I haven't played with my stamps and dies yet but need to play this weekend. 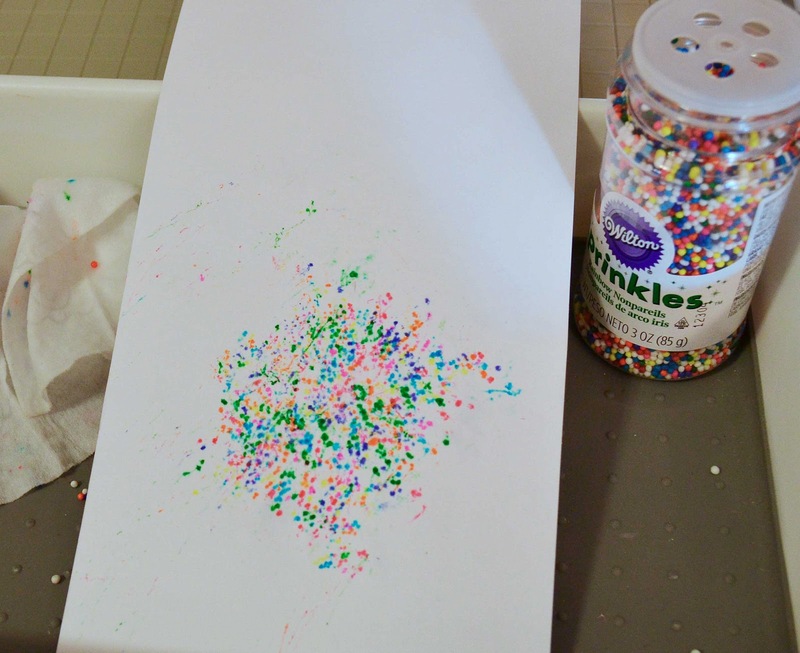 Love the sprinkle idea! So fun! 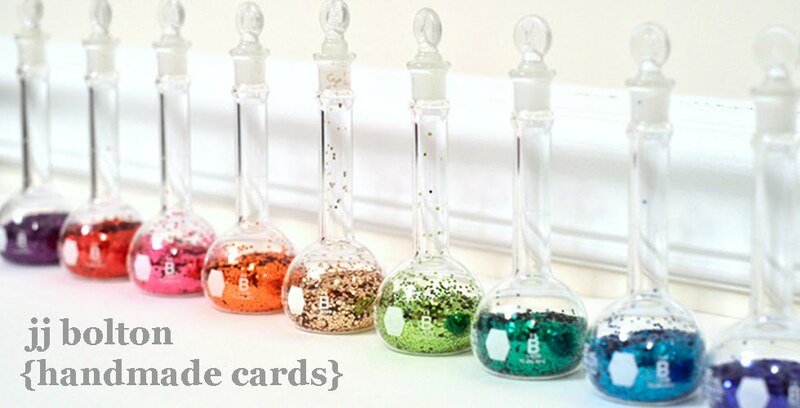 Gotta get some of these different sized sequins, too! Um, that is so fun! I have got to try this with Ellie....she would LOVE it....as would Geronimo. How do sprinkles taste with a dash of baby wipe? Fun idea and great card! How fun! Real sprinkles?? Can't wait to try this! That is so cool! It never would have occurred to me to use real sprinkles - hey....now I *have* to put them in the cart, right? :) Did you design these dies too? You rock it with those sprinkles, Baby!! Awesome card. I bet it smells like sugar, too. Love your fun card! 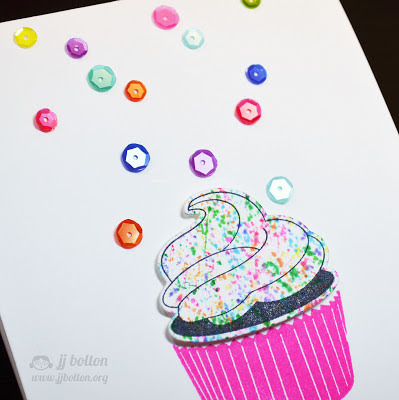 Thanks so much for sharing your idea (and tips) for using sprinkles...so CUTE! 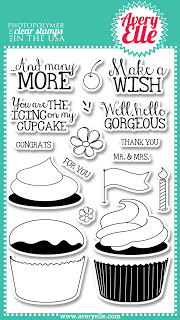 this is super adorable, luv the new cupcake stamps...very sweet! What a neat technique - I would never have thought of this - it looks fabulous and the sequins? I'm still on the fence with those but this card was a big shove to go buy some! So much fun!